Brand Engineering is a specialist electrical engineering contractor that provides comprehensive services to the industrial commercial and infrastructure sectors for the past 48 years. We serve a range of industries, from government entities to blue-chip clients, mining companies and property developers. We continually develop and advance our practical and technical expertise in line with evolving customer needs and technological innovations. All our work is carried out in accordance with global safety standards, relevant regulations and industry specifications. 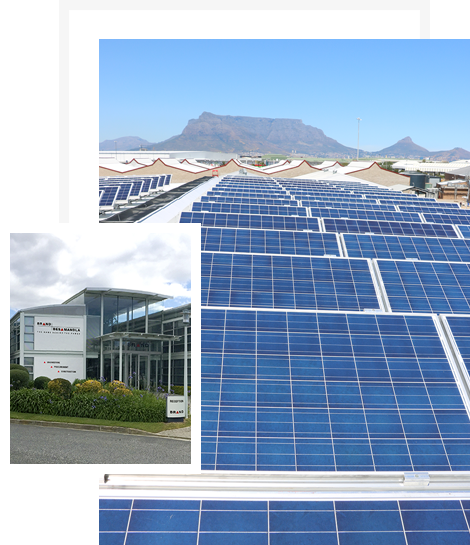 Together with our empowerment company, we provide solutions across South Africa and the African continent. Our activities extend to neighbouring countries. We have formed close partnerships with local companies in each of these external markets enabling us to stimulate their economy. The Group is devoted to providing a safe working environment and this includes training employees on relevant safety and emergency procedures. Our health and safety policies are implemented through our SHEQ management system and are communicated to all employees. Our employees are skilled, competent and experienced. We strive to contribute meaningfully to the social development of our people and to provide opportunities for each staff member to advance in their respective careers. Ongoing development in technical, professional and administrative fields is facilitated through formal and informal training. This is also fundamental to our ability to consistently deliver the optimum quality of work for which we are recognised. With the Group’s widespread national and cross-border activities, our focus is always on harnessing local knowledge and resources. Transferring and developing skills are part of our commitment to the people we employ, whether permanent or on a project basis. Our Group is committed to social and economic development in our daily operations and we ensure our corporate responsibility values and initiatives extend to communities and to members of previously disadvantaged groups. We pride ourselves in enabling people through our actions, and this leads to positive change, ongoing development and better employment opportunities for all. The Group develops, manages and adheres to environmental compliance standards and requirements. Sustainability is vital to today’s business operations, and we are committed to carrying out our services in a manner which supports our clients’ vision to respect the environment and provide sustainable value.